While most artists recognised as having their fingers in many a pie are rarely able to bake up a single truly delicious variation on just one of their various tastes, Daedelus delivers plenty of contrasting flavours on Love To Make Music To, a sprawling record that twists and flexes in myriad shapes and colours from start to finish, rarely giving up the goods the same way twice in succession. The solo artist, real name Alfred Darlington, here ropes in a number of collaborators to flesh structures deep of bass and crisp of production with lyrics that flutter between the lovingly saccharine and plain simply lewd. ‘Touchstone’ finds rapper Paperboy get filthy on wax, while ‘Make It So’’s vocals from Michael Johnson lend the track an air of Calvin Harris doing Cut Copy – and if that seems fairly repulsive on virtual paper, trust me that it’s not on record. As electro-pop bleeds into boisterous hip-hop, shades blurred and mixed by our central protagonist, Love To Make Music To cups the listener comfortably and keeps them entertained like few LPs of its type – nothing here is jaw-agape amazing, but everything’s tailored so very neatly it’s impossible not to take a shine to such deftly realised arrangements. ‘Hrs:Mins:Secs’ is a pulsating instrumental laced with dramatic samples, the sort of song CDJ disc-jockeys are going to have a ball with on a decent deck’s loop function; think ‘Flat Beat’ re-imagined by Trent Reznor. Rave culture rises from the spaces between blistering beats – if things take a turn for the retrospective on occasions, they’re always navigated with a genuine care for sleeve-worn influences. Also on show: echoes of Dilla, The Go! Team, Prefuse 73, Shadow... touchstones of universal appeal. ‘My Beau’ isn’t unlike a number of offerings from Thom Yorke’s Eraser _– hardly cutting-edge of blueprint, but perfectly designed nonetheless. 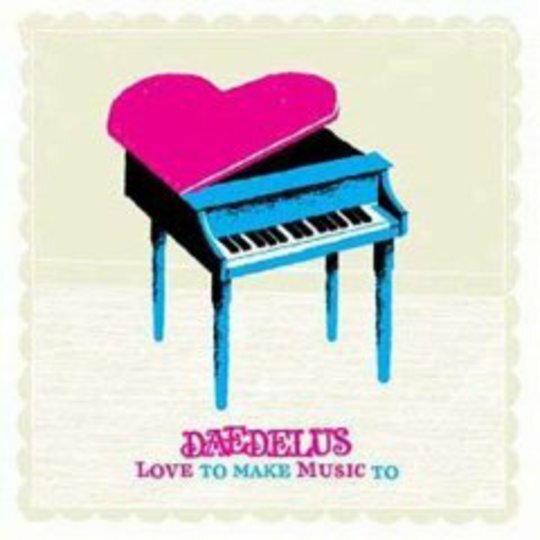 As its chunky beats transform into the skittering percussion of ‘You’re The One’ – a close cousin of Mint Royale’s ‘Singing In The Rain’ reworking – it’s evident that while Daedelus is biting off a little more than he should on _Love To Make Music To, he’s the chops to chew it down to a manageable state. At no juncture does this long-player – the man’s tenth – offend, having you reach for any skip function, or to shift the stylus. 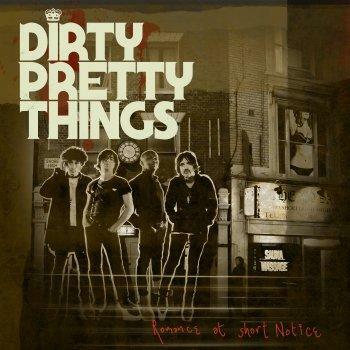 It’s a summery, instant-fix assortment of genre-muddling fun. Don’t take it particularly seriously and you and it shall have a ball.